Google Adsense may be the most popular ad network for bloggers looking to monetize their websites. But not everyone gets approved, and accounts could also get suspended. Adsense alternatives are ad networks you can use if you come across such difficulties. These Adsense alternatives can also add more income sources to your blog. Now first, a lot of bloggers actually do make a steady monthly income from their blog via Google Adsense. The best ones even boast up to six figures monthly income just from Adsense alone. That said, there is also a contingent of bloggers out there who have trouble getting their Adsense applications approved in the first place. Even then, they could still get their accounts suspended, which immediately halts their earnings. Whether you're a blogger who just can't get lucky with Google Adsense, or you're interested in making more money blogging by adding alternative revenue streams, check out this list of Google Adsense Alternatives and start applying for a more diversified income portfolio. Fomo is a social proof marketing platform that turns customer behaviors into animated display ad units. 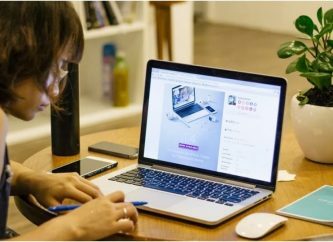 In plain English: when a customer does something on your site, like when someone signs up or purchases something, for example, Fomo shows a small pop-up announcement. This is supposed to boost conversions because then, the viewer is more likely to follow the same action because of the phenomenon called social proof. Publishers can then customize the timing, cadence, and theme design of their ads. How payouts work - $2 per 1,000 ad impressions, or $6 to $10 per 1,000 pageviews. Fomo pays every month or every $100 earned, whichever comes first. Blogger requirements - There is no minimum traffic requirement. Publishers have full control over which brands they show off on their website. How payouts work - $100 payout threshold. Payments are made monthly based on click-through revenue. 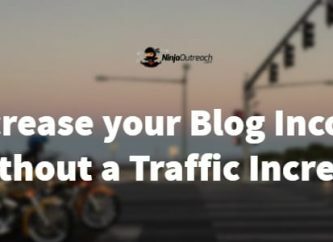 Blogger requirements - Must have a "reasonable" amount of site traffic, of which the majority must come from countries like the USA, UK, and Canada. Content requirements are pretty strict. When you're looking to find Adsense alternatives that have almost the same massive scope, then you can't go wrong with Amazon ads. How payouts work - You earn via commission. The minimum payout for a check is $100 and will be delivered within 60 days. You can also opt for direct deposit or a gift certificate if you earn at least $10. Blogger requirements - Amazon has pretty exhaustive ad guidelines. All ads must be for general viewing and must make no exaggerated claims. If you have a high US- and the EU-skewed traffic, then this should a great opportunity. One of the most popular Google Adsense Alternatives I found recently is Infolinks. How payouts work - $50 minimum payout threshold for online transfer options such as PayPal and ACH and $100 ($1000 for selected countries) for the Bank Wire Transfer option. Publishers are paid within 45 days after the end of the month that the publisher meets their minimum payout threshold. Requirements - Infolinks is open to any online publisher. There are no minimum site visitor or page view requirements and no setup fees. Ads with images depicting violence, however, are not allowed. Adblock may have significantly reduced plenty of advertisers' revenue. And AdRecover aims to be the Adsense alternative to solve that problem. As of this writing, AdRecover has partnered with 3 Adblock providers: AdBlock, AdBlockPlus, and Crystal, to serve up static, non-intrusive, UX compliant ads to people who use these ad blocking products. This is definitely a useful Adsense alternative since, aside from general users, you'll be getting access to this highly discerning and hard-to-reach segment of Adblock users. How payouts work: You’ll earn $0.50 per 1,000 impressions. Payments are sent within 30 days at the end of the month when the publisher meets or exceeds the minimum payment threshold of $50. Blogger requirements: Your adblocked pageviews per day should be over 10k. First, you need to sign up and install a tool for Adrecover to measure your total Adblocked traffic (users who visit your site and have Adblock on). The review typically takes a week. Chitika is one of those Adsense alternatives that offer Search Targeted Ads to ensure that the ads on your site are seen by users who are interested in your ad content. They also have a Local Ad Exchange that allows you to display local ads to your site's visitors based on their location. Chitika also has an ad selection optimized for mobile. How payments work: Payments are sent via Payoneer 30 days after the end of the month in which you reach or exceed the minimum threshold of $50. You can opt for the wire transfer option if you earn at least $10,000 per month regularly. Blogger requirements: Application now takes at least 4 weeks to get processed. They have traffic and content requirements but are not disclosed. One of the most efficient Adsense alternatives on this list is VigLink. Once you integrate it with your blog, it analyzes your content and automatically links your product mentions to "the best-paying merchant with the highest conversion rate." Perfect if you want to save time. How payouts work: You get 75% of total commission revenue earnings and VigLink gets 25%. Minimum payout threshold for Paypal is $10 and $50 for ACH, check, and wire transfer. Publishers are paid once a month, within 90 days after you've made sales. Blogger requirements: There are no stated minimum traffic requirements. However, bloggers are not allowed to use any merchants' branded keywords in their ads unless explicitly allowed by the merchant. This Adsense alternative works a lot like VigLinks, where it turns outbound links into affiliate links. Its main difference is, Skimlinks is geared specifically for ecommerce-related content. How payouts work: You get 75% of earned commissions. Publishers who pass the minimum $65 threshold are paid each end of the month via Paypal or direct deposit. Blogger requirements: They didn't give exact traffic number requirements. However, they say they approve sites that have a high amount of traffic, but sites with smaller traffic but high engagement will also be considered. Also works best if your traffic mainly comes from either of these locations: North America, the United Kingdom, Western Europe or Australia. MadAds offer a wide range of campaigns which includes: CPM, CPL, CPA, and CPC. How payouts work: You can set the minimum cost per 1,000 ad impressions rate you're willing to accept. Payments are sent 45 days after the month's end that you meet or exceed the minimum threshold of $50. Blogger requirements: Your site traffic should have at least 10,000 pageviews per day, must be well-designed, and family-friendly. No torrents, illegal or pornographic content allowed. Bidvertiser’s claim to fame is to be the faster Adsense alternative that can approve your application and let you start monetizing your blog's traffic in as little as 5 minutes. 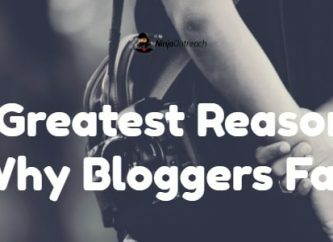 Great for new bloggers who just launched their site, or those working with a pretty small niche. How payouts work: Minimum instant payout of $10 via PayPal, Payza, check, or wire transfer. Blogger requirements: No stated traffic requirements. Instant approval. No ad displays associated with pornographic content allowed. Ayboll believes that abusing ads can ruin user experience (and thus, your chances of converting). After letting you identify which "zones" of your website get the most engagement, you can choose any of Ayboll's ad products, such as native ads, which blend naturally with the website's content. This method lets you add value for readers and at the same time, promote what you want to without ruining the customer experience. You can also opt for interstitial ads, which are non-obtrusive ads that appear in between a user's page viewing activity. There are also "before you leave" ads, which are exit popup ads, and "above the fold" cover ads, which will ensure maximum exposure to your readers. Ayboll also requires no long-term or exclusivity contracts, and do not have complex approval processes, so it's pretty easy to sign up and start your ad campaigns right away. How payouts work: You get 50% revenue share on a cost per click basis. You can cash out once within the first 10 days of each month, and within 60 days past the month that you meet or exceed the minimum threshold of $250. Users with over 300k unique visits per month can negotiate for a higher cut. Blogger requirements: No minimum traffic requirements. Sign-ups are pretty fast. Another ad network that promises to treat you better than Google Adsense is Adbuff. Adbuff’s Adsense alternatives pitch is that they'll respond to your queries within 1 business day. They also have one of the highest possible revenue offers available. How payouts work: You'll get a whopping 90% of advertiser revenues. The Payoneer minimum payment threshold is $100 and the Bank Wire minimum payment threshold is $500. Blogger requirements: They calculate the overall score based on the metrics below, but did not give exact numbers for how they calculate your overall acceptability score. They also have a high standard for ads. G rated stuff only, and no malicious code injections, pop-ups, or downloads. There is a strict approval process that takes between 5 - 7 business days. Sites with copyright infringement and excessive ads are automatically rejected. Buy Sell Ads (BSA) is one of those Adsense alternatives that lets you monetize your blog by selling direct Ad spaces on your blog. They offer a range of Monetization options like Tweets Monetization, Apps Monetization, Email Monetization, Ross Monetization, and mobile Web. How payments work: You get 75% of ad commission revenue and BuySellAds gets 25%. Minimum cashout for PayPal is $20, $50 for check, and $500 for wire transfer. You can cash out via PayPal twice a month and once for checks. Unlimited wire transfers have no limit, provided you meet the threshold. Blogger requirements: At least 50k impressions per month. Content must be high-quality and consistently updated. It also offers Photo Text Ads, Banner Display Ads, Full Page Interstitial Ads, Email Pay-Per-Click Ads. How payouts work: You get a 50% revenue share; 65% if you're a premium publisher. The minimum threshold of $50 is paid within 15 days of the month that you meet or exceed that threshold. Blogger requirements: No minimum traffic requirement. Illegal content are not allowed. As Adsense alternatives go, Clicksor is another popular one that you can use on your blog. 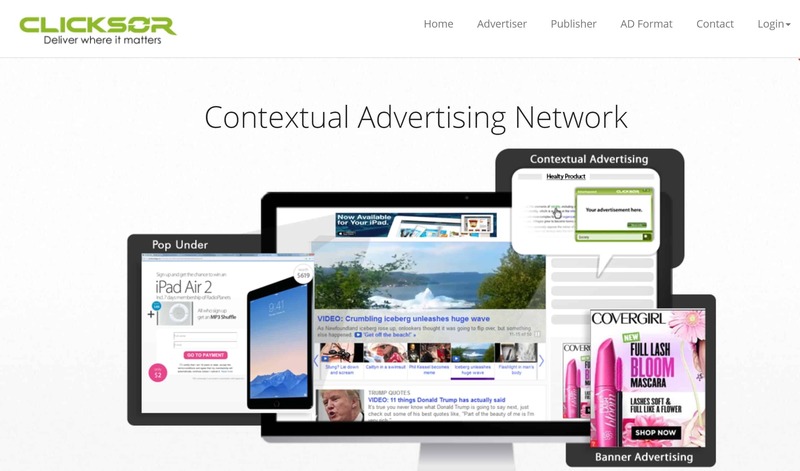 It's a contextual advertising network just like Adsense which offer ads that are relevant to your blog content. How payouts work: You get 60% of advertising revenue. Minimum payout is $50 for PayPal or check and $1,000 for wire transfer. Payouts are sent every Thursday and within 15 days after you meet the minimum threshold. Blogger requirements: At least 50,000 pageviews monthly. Over 50% of your traffic must come from the US, Canada, and Great Britain.